When Briggs & Little offered me the opportunity to try some of their bulkier weight yarns, I jumped at the chance. 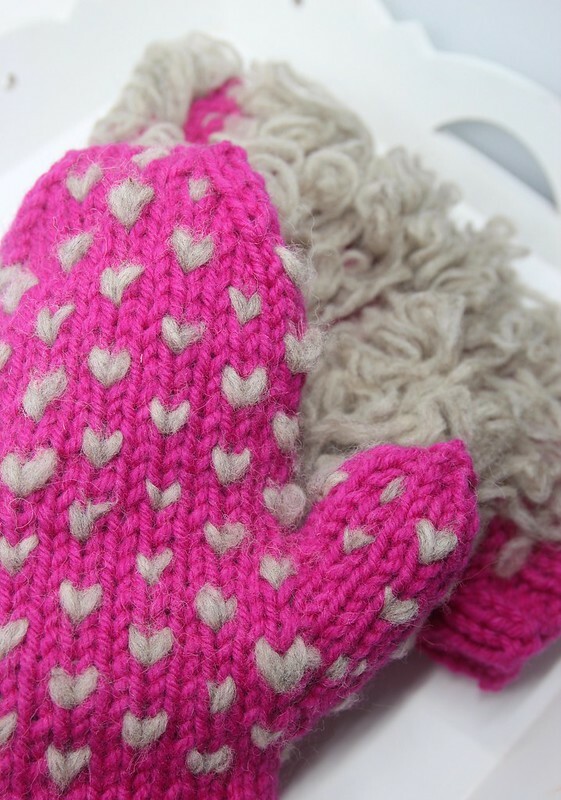 A few years ago I made some thrummed mittens out of some terribly itchy wool and I wanted to try again. I decided to order the Super (Super Bulky, 85 yds/113g) in Magenta with a skein of Country Roving (Super Bulky, 155 yds/227g) in Light Grey for the thrums. 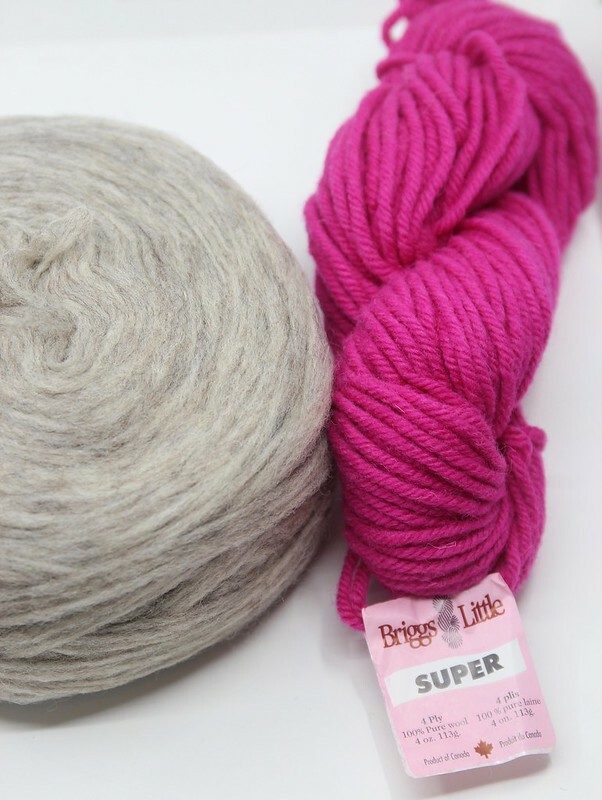 Super is a 4-ply 100% wool suitable for outerwear. 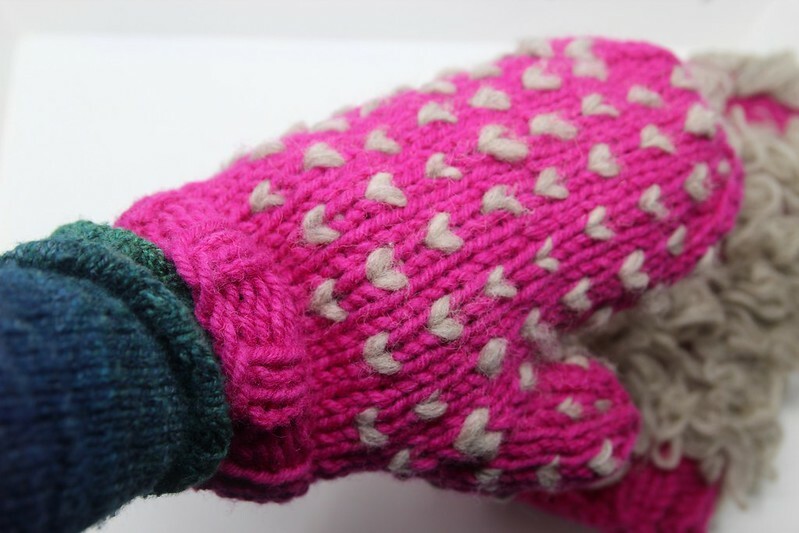 It’s sturdy, rugged and perfect for mittens when it’s really cold outside. The Country Roving surprised me in that it was very soft. 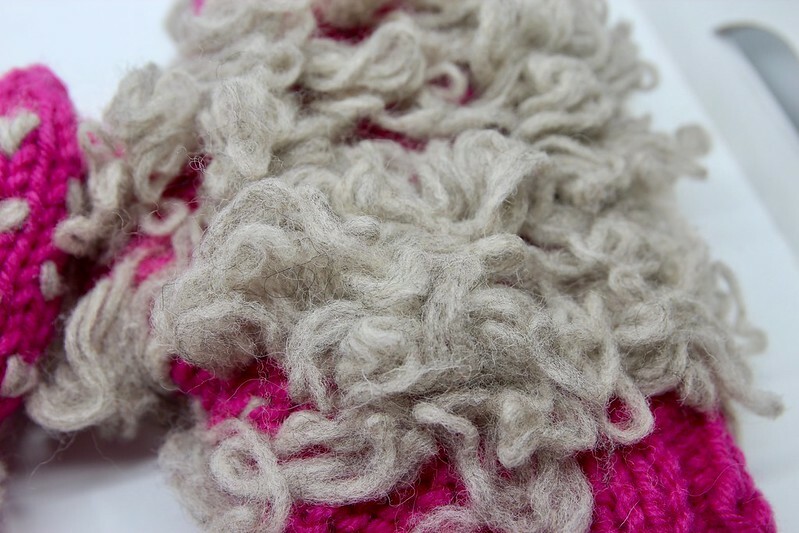 The Country Roving is a very loosely plied wool, almost roving like. It reminds me a bit of Icelandic wools, like Lopi, and has 5 plies. I went ahead and pulled these plies apart, using only two of them in the loops for the thrums. Then I spent some time on Ravelry searching for the right pattern. I opted for Molly’s Mittens by Susan B. Anderson. While the pattern doesn’t include thrums, I liked the gauge that the pattern suggests so I used it as a guide and added the thrums in on my own. 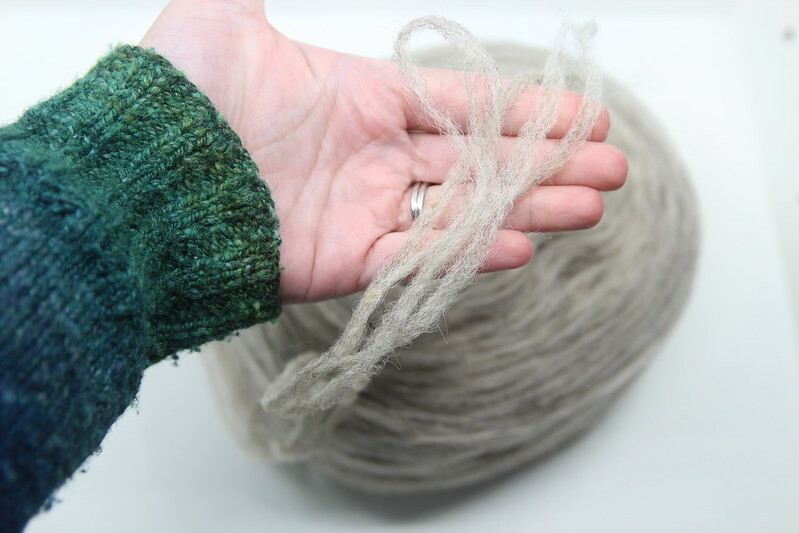 Thrums are loops of wool that are knit into the fabric you create as you knit. The loop tucks into the knit stitch creating a little “v” or heart shaped double stitch. The other ends of the loops create fluff inside the mitten that eventually felt into a warm inner layer of insulation. The mittens knit up quickly on US 10’s and were done in just a few nights. They’re a little big, but they’re super warm and perfect for the Polar Vortex we’re experiencing this week! A special thank you to the Briggs & Little who sent me 2 skeins of Super and 1 skein of Country Roving (retail: $24.50) for free. I received no other compensation for this review. All opinions and photos are my own. Previous Episode 216: Finish it February!